Lewis Hamilton has issued a statement after receiving backlash for his statement about racing in a "poor" country like India. Earlier this week 2018 Formula 1 World Champion. Lewis Hamilton had stated in an interview about being conflicted to race in India, after seeing the poverty in the country. The statement has not gone down well with Indian fans and citizens alike, prompting a lot of backlash against the Mercedes driver. Following the criticism, Hamilton recently took to Twitter to clarify his stand on the issue. Mercedes F1 boss Toto Wolff also came out in support of the five time World Champion saying that his statement was misconstrued by the media. Hamilton was one of the drivers during the Indian Grand Prix that was held between 2011 and 2013. In a subsequent post on Twitter and Instagram, Hamilton said, "Hey everyone. I noticed some people are upset with my comment on India. First off, India is one of the most beautiful places in the world. The culture there is incredible. I have visited and always had an amazing time however whilst it is the fasted [sic] growing economy it also has a lot of poverty. My reference was that a Grand Prix there felt strange to drive past homeless people and then arrive in a huge arena where money was not an issue. They spent hundreds of millions on that track that is now never used. That money could have been spent on schools or homes for those in need. When we did have the race, nobody came because it was too expensive most likely or no interest. However I have met some amazing India fans." Indian F1 fans and the media weren't too happy with Hamilton's original statement on the matter. The world champion had told the BBC, "I've been to India before to a race which was strange because India was such a poor place yet we had this massive, beautiful grand prix track made in the middle of nowhere. I felt very conflicted when I went to that grand prix." 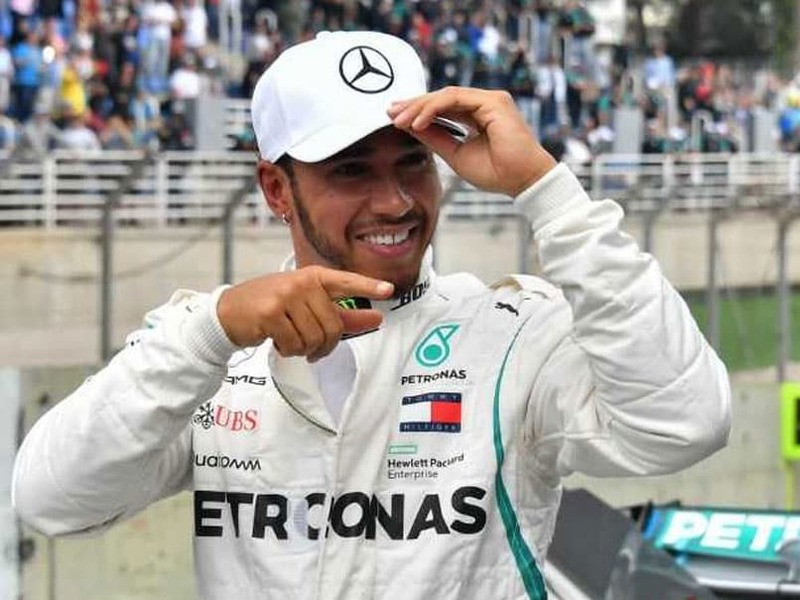 Hamilton was responding to a question being asked about F1 moving to newer venues with new owners Liberty Media announcing the Vietnamese Grand Prix added to the calendar in 2020. An emerging economy like India, Vietnam's capital Hanoi will be hosting the Grand Prix and has signed a 10-year deal with the sport's promoters. Lewis had further said that he would prefer to see more stops in countries with a genuine racing tradition, rather than expanding to new markets. However, the statement did emerge as rather insulting to fans in emerging markets or third world nations that do pose a small but strong fan base for the sport. Backing up the driver Mercedes boss Toto Wolff said it was "unbelievable" how Hamilton's "thoughtful" comments about India had been misconstrued. He said, "It is once again unbelievable to me how the words and the meaning of Lewis get spun out of context in this way. He spoke with empathy about India and the painful contrast between wealth and poverty that we face while travelling the globe as sporting ambassadors. He did not criticise the nation and his words were those of a thoughtful and considered champion. The only fault here lies with the people who have twisted his words to mean something else entirely." That being said, India is the sixth largest economy in the world and hosted F1 for three years at the Buddh International Circuit (BIC), which is a privately owned track by Jaypee Sports. All three of the races were won by now Ferrari driver Sebastian Vettel. Following the last race in 2013, the Indian GP was dropped from the F1 calendar over several issues including a date clash with the Indian organisers, tax disputes with the Indian government and bureaucratic hurdles. Over the years, the track has been used for domestic motorsport events, track days and even weddings, as the promoters try to keep the track up and running amidst high maintenance costs.